Visiting the famous beaches of Broward County? No doubt Fort Lauderdale and Hollywood are the basecamps for your getaway. But just because you’re beach-bound doesn’t mean your vacation should rely on sunbathing alone. You’ll find water sports and inland adventure throughout this coastal paradise, so get outside and explore! Book your stay at an oceanfront property that has on-site beach rentals. I loved the convenience of walking down to the beach from The Diplomat Beach Resort and finding a full-service array of amenities including WaveRunner and SUP rentals. This stretch of the Atlantic offers gentle waves for doing donuts and catching some air on your WaveRunner ride, but closer to shore you’ll find a smooth balance for a SUP session. Test your balance on a bouncy ride across the waves with a Banana Boat ride. This is a perfect group activity if you’re traveling with friends. A jet ski will pull the banana boat along at a pretty fair clip, so you’ll catch wind in your hair and feel an adrenaline spike. Hold on, as those corners are pretty sharp as you drift across ocean waves. Take in a seagull’s view of the ocean and coastal beaches as you sail above the sea during a parasailing adventure. In Fort Lauderdale, soar alongside the famous coastal beach strip and swoop over paddle boarders. In Hollywood, you’ll get a great view of the famous 'broadwalk' as you dip high and low over white capped waves. Cocoa Beach may be the East Coast’s surf capital, but you’ll find plenty of wave action along the shores of Fort Lauderdale and Hollywood. If you’re a newcomer to the sport, sign up for lessons at EZride Surf School. They teach water safety and balance and offer tips for how to stay up during your session. If you’re experienced and considering competition, the instructors here offer professional coaching, too. Just outside of Hollywood, head to Cooper City to experience the Velodrome at Brian Piccolo Park. Serious cyclists will love the 200-metre long track that features slopes of up to ten degrees. Outside the velodrome, take a spin on the road course, which is open to in-line skaters and cyclists. Course options vary for beginners to experienced. Whether the ocean waves aren’t cooperating during your visit or you prefer a guided approach to hanging ten, you’ll love the thrill of the FlowRider at Margaritaville Hollywood Beach Resort. Surf or boogie board on this wave simulator on your own or with the instruction of pros on site. The water’s guaranteed to be warm and you won’t have to paddle a mile out for action. In nearby Davie, take an easy stroll through Pine Island Ridge Natural Area. The path wanders through a canopy of oak trees, and you’ll spot limestone alongside the trail. On the meandering walk, you’ll cross horse trails and ATV trails, but follow the hiking path with a walking map and interpretative signs guiding the way. During my stay at The Diplomat Beach Resort in Hollywood, I loved early morning yoga sessions on the beach. If you’re not a guest, be sure to make an advance reservation for this morning stretch as the sun rises to greet you. If you’re staying in Fort Lauderdale, you’ll also find seasonal yoga by donation twice a week. Want even more travel tips? Visit sunny.org for maps, event listings, and planning guides. PS. Do you want to live a more adventurous life? Join explore's ‘Live the Adventure’ Club Gear Box. Every four months, we send over 4,000 explorers across North America a subscription box filled with exciting, new and seasonal gear. 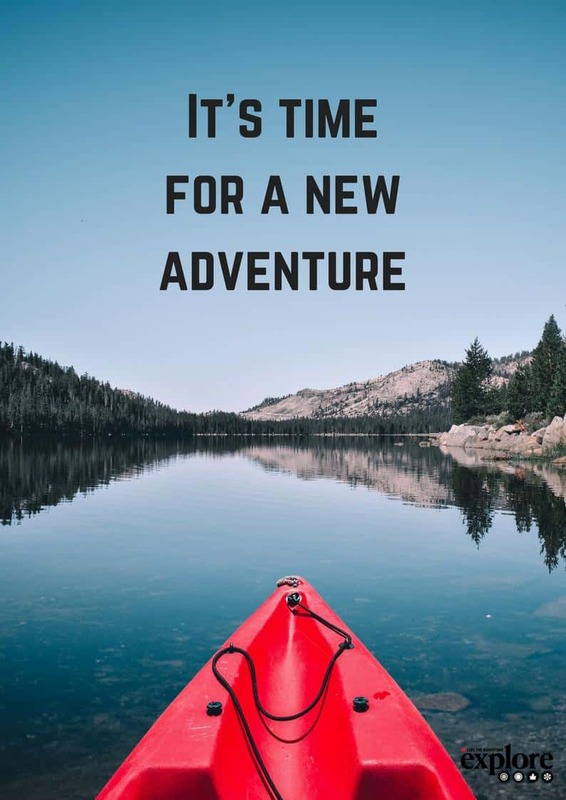 Join the 'Live the Adventure' Club today!